As the major financial district in Miami as well as all of South Florida, Brickell is a popular area to live for professionals at any of the international banks and investment firms or foreign consulates. Brickell is frequently called the “Manhattan of the South” because of its skyscrapers, tall office buildings and high concentration of apartment buildings. This part of Miami is filled with a diverse group of residents who enjoy a faster pace life along one of the most beautiful backdrops in the country. Brickell real estate’s concentration of high-rise condominiums features some of the most luxurious residences in all of Miami. List prices range from as the mid-$300s to almost $10 million with one Brickell listing topping $25 million. For those who want luxury in the center of the action as well as the ease of condominium living, there is a lot from which to choose. Following are the top five Brickell listings under $1 million. Imagine waking up and enjoying that first cup of coffee of hot tea on the balcony of this fantastic unit at Carbonell on Brickell Key. The 1,313-foot split floor plan features marble and wood floors, a large kitchen area with high-end stainless steel appliances, custom-designed closets, high ceilings and more. With two full bedrooms and two and a half baths, there is lots of room to move. Large windows and a great balcony showcase the amazing water and city views. As the largest two-bedroom floor plan, it is perfect for professionals working in Brickell as well as anyone who wants to be part of the action but have the ability to retreat to this beautiful oasis on Brickell Key. Carbonell offers lots of amenities including a state of the art fitness center with spinning equipment, cardiovascular and weight training equipment multipurpose exercise room for dance, yoga and other workout regimes tennis, racquetball and squash courts, a large infinity edge, 30-meter heated bay front pool with whirlpool spa, valet parking, full concierge services and 24-hour patrol just to name a few. Living at Icon Brickell is like being on the most luxurious vacation ALL THE TIME. Icon Brickell is probably one of Miami’s most recognized properties with its unique design. With three towers one of which includes the Viceroy Hotel and all of its amenities, Icon Brickell is one of the most elite properties in all of Brickell. This upper-floor unit features custom-designed décor, fixtures and finishes expected with a home of this caliber. On the market as turn-key furnished, it includes all accessories, electronics and artwork. The unit faces east offering direct Biscayne Bay and ocean views. In the gourmet kitchen, any cook will love the counter space, Sub-zero refrigerator, Wolf-kitchen appliances, and Italian kitchen cabinetry. Floor to ceiling windows and a wonderful balcony allow home owners to enjoy the beautiful views. Icon Brickell offers its residents wonderful extras like a two-acre pool deck surrounding an infinity edge Olympic sized pool, Jacuzzi, reflecting pool, concierge, valet, security, quick access to exquisite restaurants like Cipriani and more. This gorgeous two-bedroom, two and a half bath unit at Epic West has luxury written all over it. Floor to ceiling walls of windows line two sides of the 1,500+ square-foot residence as well as the 300 square-foot balcony offer the most beautiful panoramic views of Biscayne Bay, the Atlantic Ocean and the Miami skyline. Inside, the contemporary designed and decorated home features a wonderful master suite with ideal custom closet and modern master bath and spa, a gourmet kitchen with high-end appliances and more. Listed fully furnished, the sleek décor is perfectly placed and so put together. Residents at Epic enjoy privileges like two pool areas one of which is exclusive for residents only, a five-star fitness center with top of the line equipment and areas for group workouts and yoga, 24-hour concierge, front desk and security, a private boat dock, access to many hotel amenities including EPIC Link which integrates residents to the amenities, and so much more. Living at Epic West is like living on vacation 24/7. The most unbelievable attribute of this two-bedroom, two-bath corner unit at Icon Brickell has to be the combination of 16-foot ceilings with floor to ceiling windows that seem to go up to the sky. The southwest corner unit features beautiful white marble floors, a great kitchen area with lots of counter space and cabinets, water and city views and so much more. Residents enjoy a state of the art fitness center, a two-acre pool deck that surrounds an Olympic sized pool, a theatre, dining and other Viceroy Hotel amenities. Live within walking distance of Mary Brickell Village, downtown, shopping, the best restaurants and a short drive of the beaches, airports and major thoroughfares throughout the entire area. 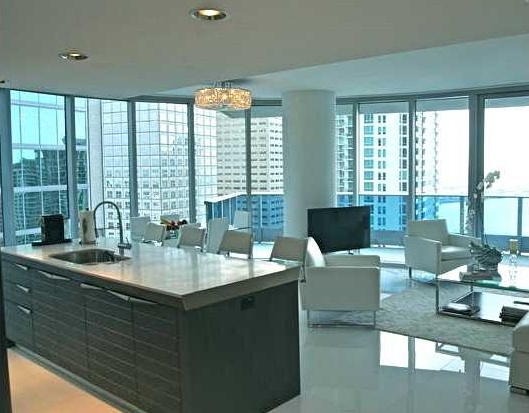 This 1,313 square foot unit at Icon Brickell has been perfectly upgraded. Not only is it being offered fully furnished, it has a large balcony to showcase beautiful Miami views of the city and water, stunning white, Italian glass floors, custom built closets a gourmet kitchen with Italian cabinetry, high end appliances and more. The Icon Brickell amenities are outstanding with five-star restaurants, a state of the art fitness center, huge pool deck that surrounds an Olympic sized pool, valet, security, access to hotel amenities and more. The location is ideal in the heart of Brickell within walking distance to Brickell Village, top restaurants, and the best shopping, not to mention being in close to the beaches, transportation hubs, and major thoroughfares. 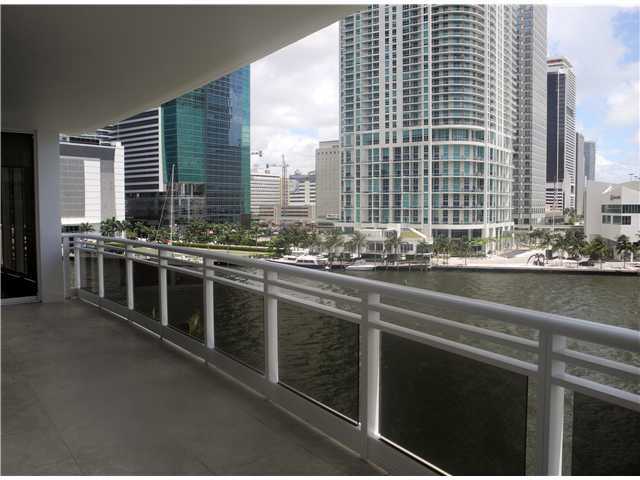 There are definitely lots of options with Brickell real estate that is priced at $1 million and below. Condominiums in the heart of the Miami financial district carry a prestige that is unlike anywhere else in South Florida. Brickell is THE place to live a cosmopolitan lifestyle in a beautiful topical atmosphere. Really nice houses. Brickell avenue is really awesome choice.